A freak snowstorm hit Connecticut Saturday night. We still have leaves on the trees, (it was only October)! 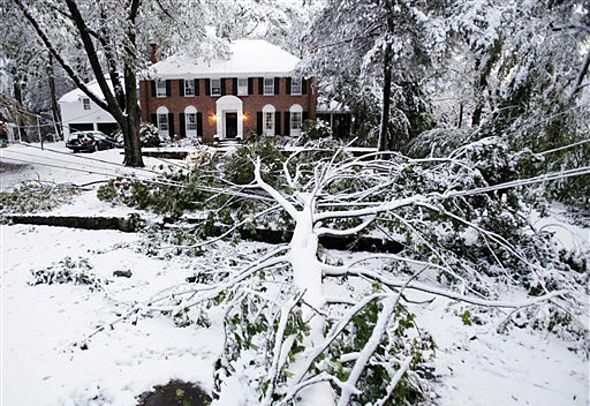 and the weight of the snow knocked the trees down onto power lines. I am writing this post from the library in a neighboring town since our town has NO power and there is no end in sight. Fall is still my favorite season here in New England and it always seems to come and go too quickly for me. I wrote this post right before the storm, so I decided to share it with you. I wanted to hold on to some of the beauty of fall—colored leaves. I’ve seen this idea on Pinterest and decided to try it myself. 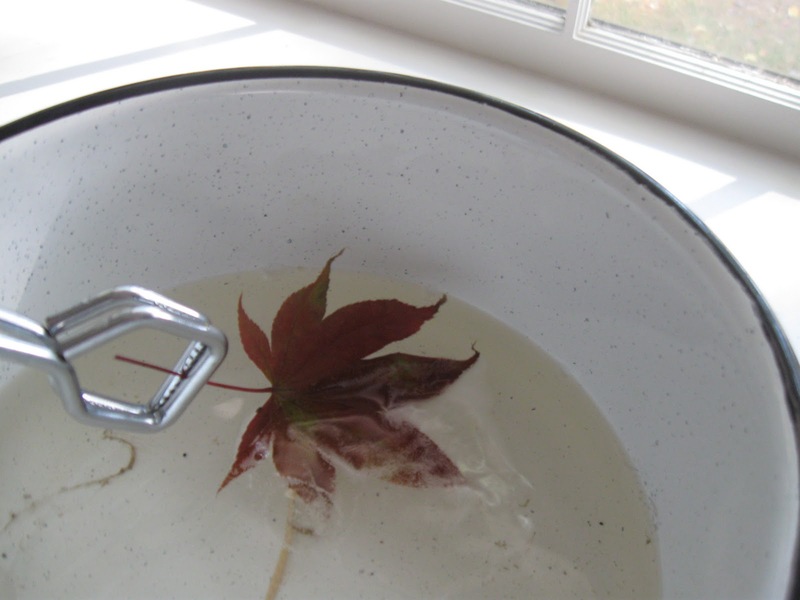 First I gathered leaves from our yard and let them dry indoors for 24 hours. 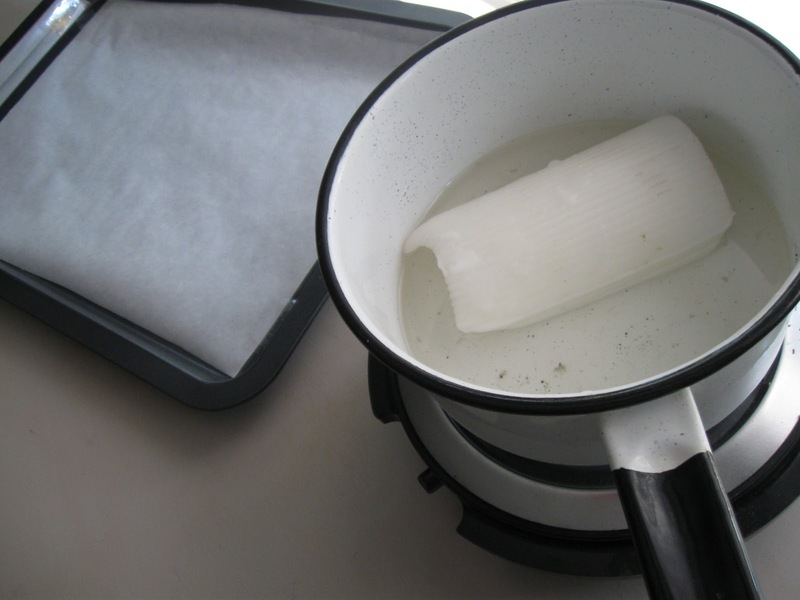 Next, I found some used candles and put them in an old pot over low heat to melt. 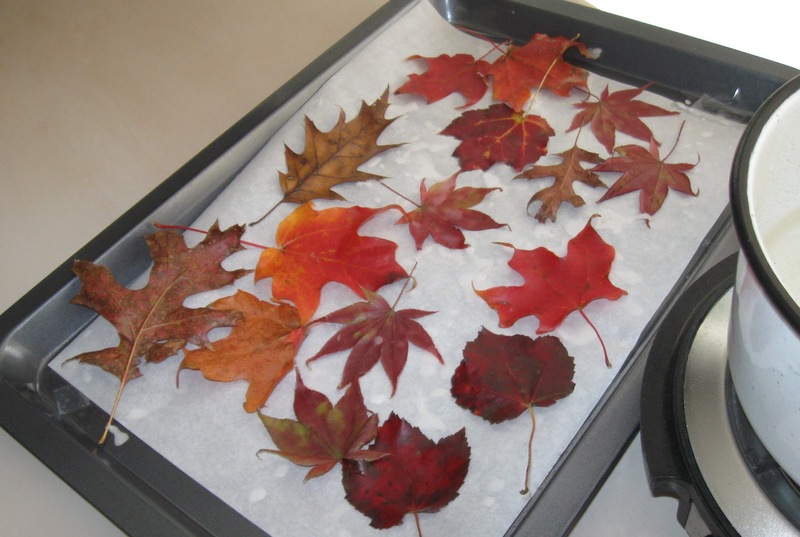 After the candles melted, I dipped each leaf into the warm wax and let it dry on parchment paper. I found that after they dried, I could “double-dip” for a thicker coating of wax. I can’t wait to incorporate them into my Thanksgiving table decor! I really want to try this! I am having a fall wedding next year and would love to use them for decoration. Does anyone know how long they will last? I've seen this.. and I've been wanting to give it a try. Thanks for sharing your tutorial. I'll save them after Thanksgiving and let you know how long they last! This is great! So sorry to hear about the inconvenience of that storm, I have family and friends who were also effected in New York......and despite it all you went to the library and posted that post, amazing! Thanks so much for sharing on Craft Schooling Sunday! Amazing leaves! We have had plenty of rain this weekend but nothing like that snow! Here my report on the leaves...they only lasted a short time. 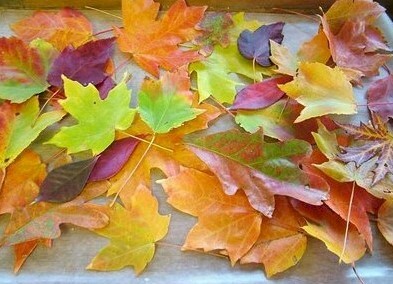 By the time Thanksgiving rolled around, they lost their beautiful colors and turned brown. So, I was not able to uses them on my Thanksgiving table. Anyone else have better luck?